Both get five hours of prep. 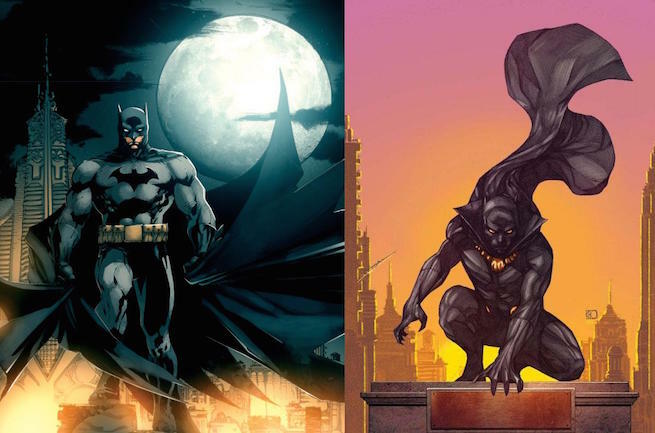 Well.....not even joking I believe Black Panther would honestly win against batman. But Batman is well.....Batman. he seems to be unbeatable when it comes to prep. @Azul wrote: But Batman is well.....Batman. he seems to be unbeatable when it comes to prep. That's a very abstract assertion. I don't know how applicable or potent his preparatory abilities are in this situation. We should honestly look at who has had a shorter prep time and had a better effective manner. Never underestimate Black Panther,I think he takes 60-40 here. Dr doom > Batman prep time. Batman wins due to prep time. What feats does Black Panther have with prep time? @BobCraft22 wrote: What feats does Black Panther have with prep time? Manage to stand with a non-angry God Doom. IIRC Black Panther had an army of zombies and an infinity gauntlet, does he have that in this battle? @BobCraft22 wrote: IIRC Black Panther had an army of zombies and an infinity gauntlet, does he have that in this battle? No but he did manage to do that feat with short hand prep time. Oh ok, so Black Panther with prep time wins then. Never underestimate Wakanda's technology my friends! @BobCraft22 wrote: Oh ok, so Black Panther with prep time wins then. @konami31 wrote: Never underestimate Wakanda's technology my friends! I sure am not lol!